Depending on the weather and sea conditions, in case it won't be possible to access to the Blue Grotto due to tidal conditions, you will be taken by boat to the Faraglioni Rocks. If weather conditions do not allow the excursion by boat, you will take a land excursion of the island. Join us on this classic journey, departing from Rome to explore the beauty of southern Italy. We will begin our journey travelling south on the “highway of the sun”, passing by the famous Roman countryside, Castelli Romani. Our first short stop is in Naples, a world-renowned city home to incredible views of the Mediterranean, Mount Vesuvius, and countless historic sites. Take the ferry for a nice 1 hour (approx) sailing trip to Capri. 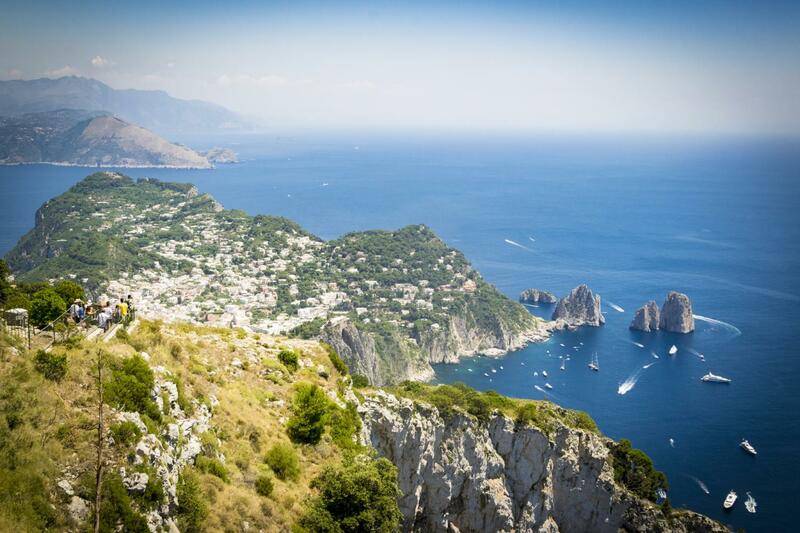 Discovery the charming beauty of Capri with our enthusiastic tour guide. Marco, our guide, was excellent. He pointed our historical sights along the way in multiple languages. He was amusing as well as informative. It was not intrusive because my teenage boys slept through it. He maneuvered a bus load of people through several very crowded areas and we never felt lost because he communicated exactly what and where we were going and doing. Marco, Giovanni, and Hectore ensured we did everything we wanted to do in a short amount of time, even though we had to rearrange the schedule a bit after we got there.